Remember those creepy advertisements Tom Cruise, playing Captain John Anderton in the Minority Report (2002), saw recognizing and talking to him? Well, it seems that that this is another science fiction idea turning into reality. 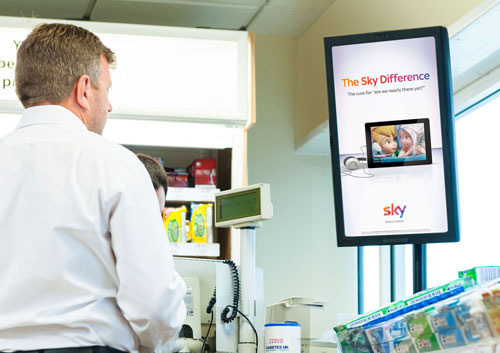 British company Amscreen recently announced a partnership with petrol giant Tesco that would bring hundreds of smart displays to watch customers and present selected advertisements based on their personal viewing habits. 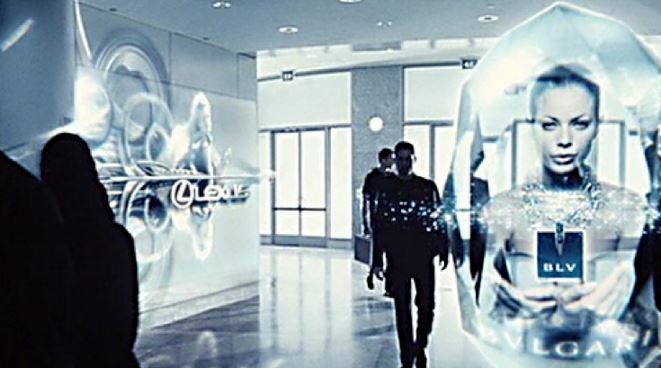 The concept of an advertisement system that knows your name and talks to you when you enter into a store might not be here–yet–but the OptimEyes system by Amscreen could be a big step in that direction. Amscreen developed this system by adding a camera into the digital displays used in stores and other businesses. Not only can the camera, along with a smart algorithm, recognize if people are looking at the display it can also detect if the viewer is male or female and (approximately) how old they are. This information is then relayed back to the advertising company which can change or add to the display accordingly. The advertisers can also get for the first time accurate real-time statistics on how many (and what type of) people actually watched a specific advertisement. This sort of information is vital for improving the effectiveness of advertisement campaigns, however so far it was very hard to effectively measure (unlike online advertisement campaigns which are typically easier to monitor effectively because of the nature of the medium). What does all of this means for our privacy? will we be able to walk by the street without dozens of cameras watching every step that we make? the short answer is that even today we are constantly watched – it’s just that this is done passively – without giving us any hint about it. Take the city of London as an example – it is already fitted with hundreds of thousands of security cameras watching almost every corner of the city. This is done for security purposes and chances are that if you walked by the street of London you didn’t really noticed those preying eyes. Of course London is not unique in this respect and many other cities around the world are adopting similar technologies in the name of public safety and security. However, even if you accept this invasion of privacy by the government in order to keep us safe, will you accept a similar one done by commercial companies in order to increase their profits? Amscreen claims that its OptimEyes technology doesn’t store images or recognize people, but only detect gender and sorts customers into one of three age groups. That might be true, but nobody can guarantee that other companies developing similar technologies will do the same, and even if they will, who can make sure that no malicious hacker will break into those systems and plant a code that will store the information – allowing him or her to track us whenever we go into a store or even pass by?